I’m well on my way to making all of the offerings from Paprika Patterns. I just love the unique pieces she creates. 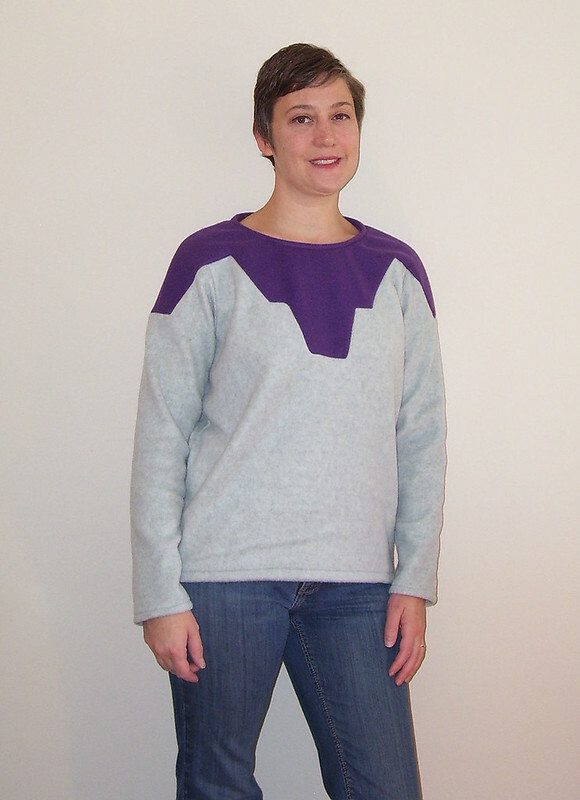 Once again I jumped at the chance to help as a pattern tester for the recent release of the Zircon Sweater. When the Zircon hit my inbox, I was going through my annual temperature freakout; that time of year when I feel a few degrees cooler and irrationally layer on the clothes like the Michelin Man. So what else is a girl to do than sew up a winter worthy Zircon out of polar fleece from my stash. I may have jumped the gun a bit with the fabric choice, but now that winter has set in, I’m thankful to have a warm go to sweater. Earlier this year I struggled with getting the insert corners neat on my Wendy Top. I did much better this time with the Zircon. It takes care and patience to get the inserts done correctly, but an intermediate sewer can do it. 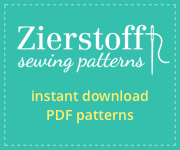 After the inserts, the pattern is a breeze to complete. I made no alterations to the pattern. The sleeve ended up hitting right at my wrist, were I prefer it, on my shorty arms even though it is supposed to be bracelet length. 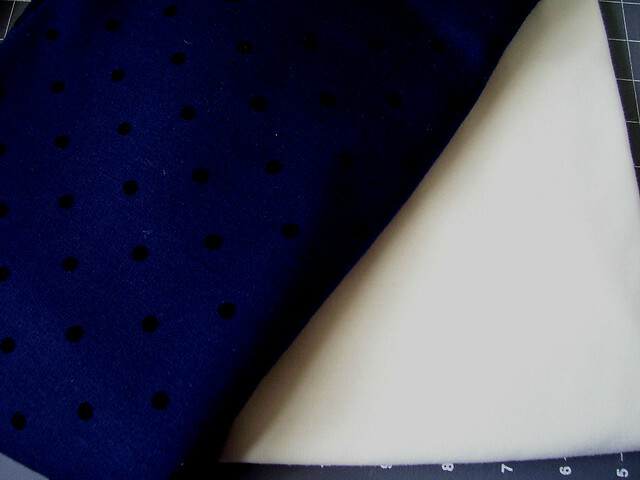 The second Zircon I’m planning will be in a navy ponte with flocked polka dots paired up with a ivory/cream for the insert. The Zircon may take you 3.5 hours. Really cool design! I like your choice of colors – really makes it pop. And looks super cozy! 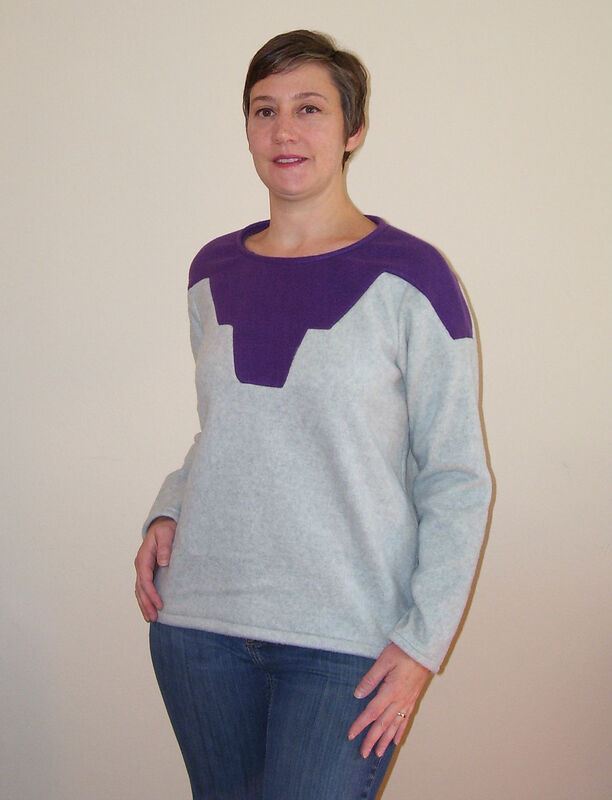 The colorblocking on this is really neat! 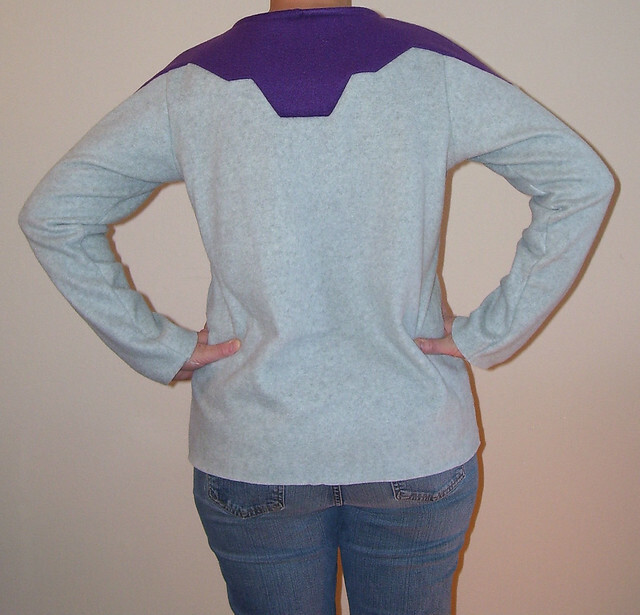 Cozy sweatshirt with style! I love it! 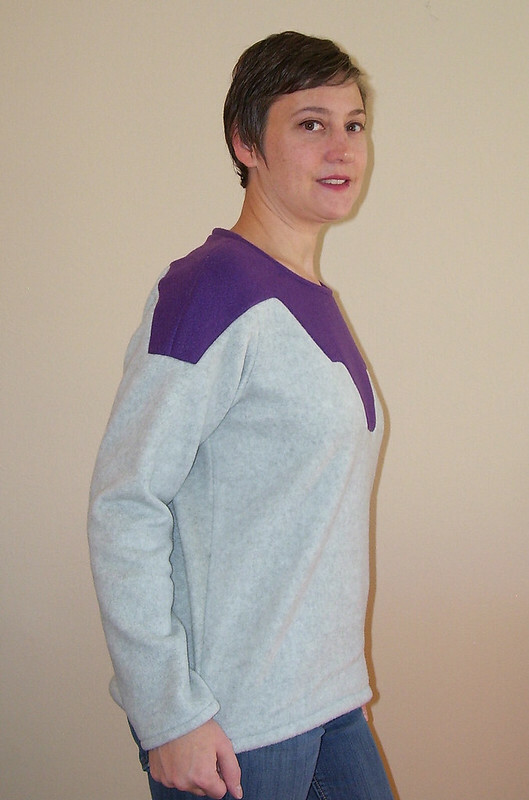 Nice sweater – I like the accent colour around the neckline. Looking good! It looks great on you Melissa. Great color matching. Enjoy your sweater. Thanks Sonja. I have to say your LBD version is my favorite Zircon. Thank you Melissa. Your sweater can be worn all the time, my dress is only for special occasions. But it’s always great to see what everyone does with pattern. Melissa that fits great and looks great on you. A go to warm sweater is a must in colder weather. Looking forward to sing the blue one. 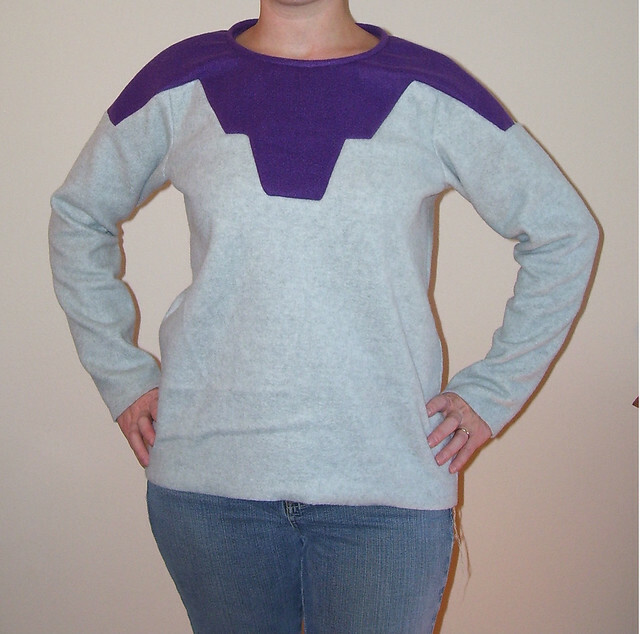 It’s been so cold around here, I think I need another go to warm sweater, but I have another idea for that.